I can’t wait for February 19, 2013! 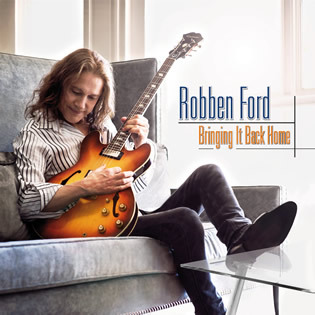 That’s when the latest album from guitar virtuoso Robben Ford will be released. Bringing It Back Home is a stunning study in soul, style and virtuosity that cuts to the heart with its exceptional, emotion-laden musicianship. The new CD also brings the five-time Grammy nominated stage and studio legend back to his earliest roots as a performer, playing blues. Bringing It Back Home’s all-star line-up features organist Larry Goldings, drummer Harvey Mason, bassist David Piltch and trombonist Steve Baxter. ow ow…I got my copy in the mail yesterday! Very nice!! Thanks for the heads up a while back. Might we see Robben on the canvas some time soon?